Michael Inglese is CEO of Stamford-based aircraft-leasing firm Aircastle. 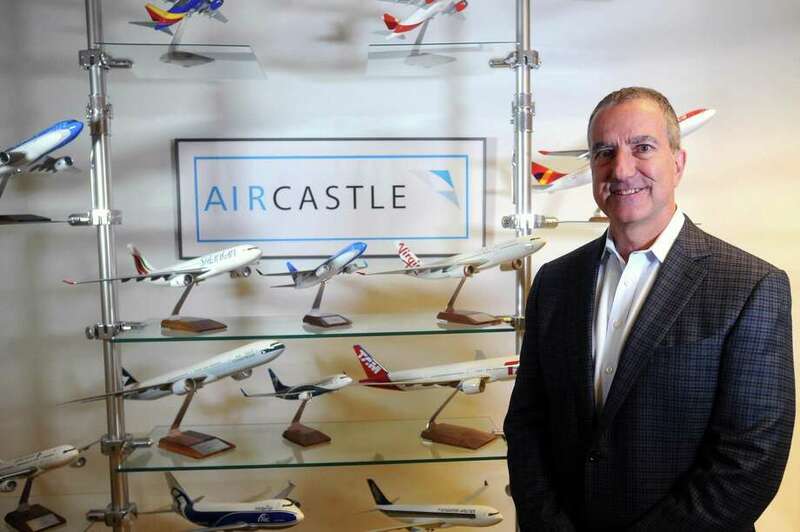 STAMFORD — Aircraft-leasing firm Aircastle reported Tuesday rising revenues for the past quarter and year, as it benefited from growing demand and an expanded fleet. Fourth-quarter revenues jumped nearly 50 percent year-over-year, to $293 million. Quarterly profits came to about $104 million, nearly double the bottom line in the same period in 2017. For the year, Aircastle’s revenues increased 5 percent, to about $890 million. Profits soared by nearly 70 percent, to about $248 million. Aircastle shares closed Tuesday at $20.87, up 1.3 percent from their Monday finish. In 2018, the firm acquired 39 aircraft, including 10 Airbus A320neo planes, for a total of $1.4 billion. It sold 14 planes last year, for a combined $339 million. At the end of 2018, Aircastle’s owned 248 aircraft, with an average age of about nine years. “Narrow-body aircraft remain in high demand globally, and we continue to benefit from the broad operator base and liquidity these aircraft afford,” Inglese said. The company has seen much of its growth in emerging markets. In Brazil, Aircastle is appealing a judge’s order to extend until April a stay on repossession of aircraft used by bankrupt Avianca Brasil, the country’s fourth-largest airline. The decision also required Avianca to resume making leasing payments. At the same time, Aircastle has committed to buy nearly $1 billion in “next-generation,” regional jet aircraft made by Brazilian aerospace conglomerate Embraer. In October 2017, the company announced it had relocated its headquarters to 201 Tresser Blvd., from the First Stamford Place complex. In addition to its main offices in Stamford, it maintains centers in Dublin and Singapore.